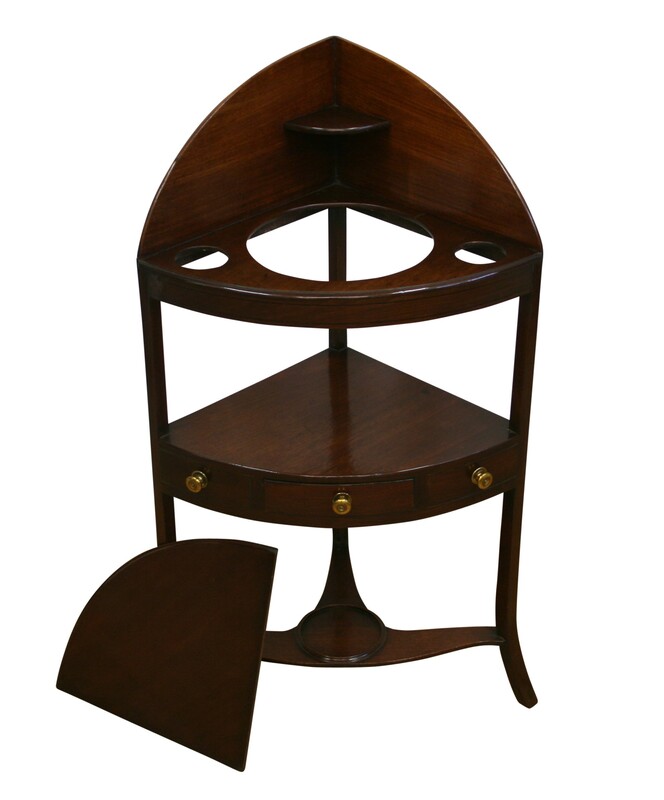 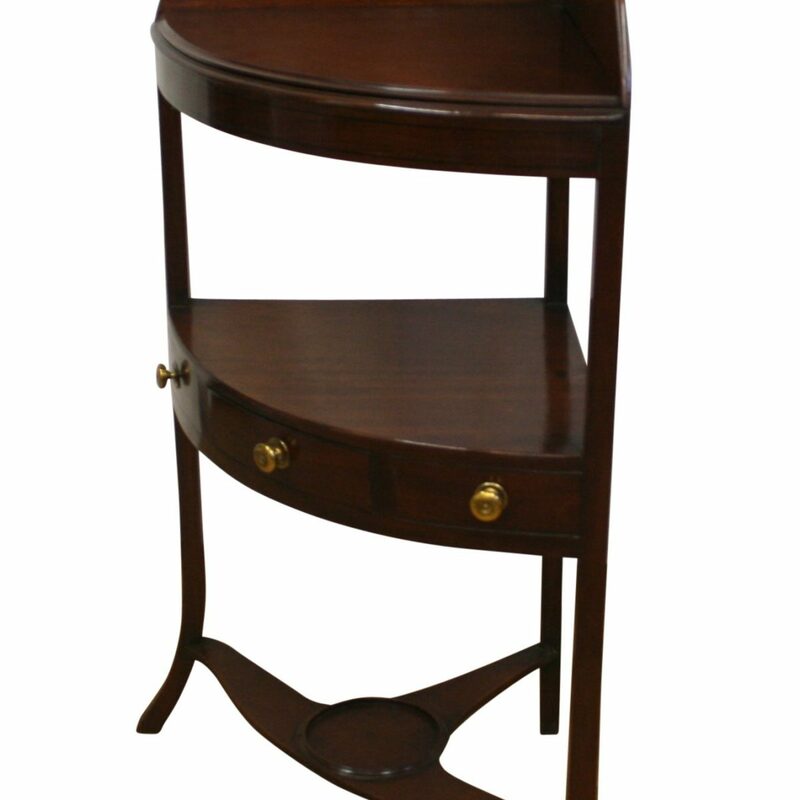 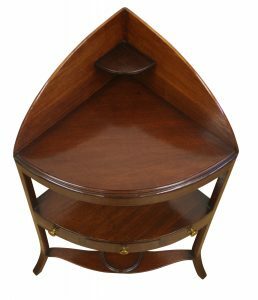 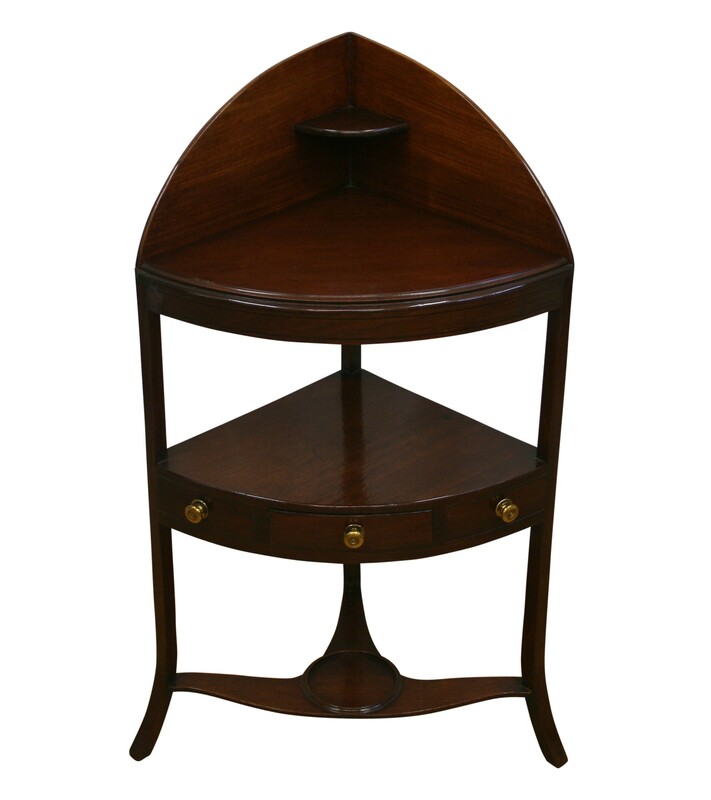 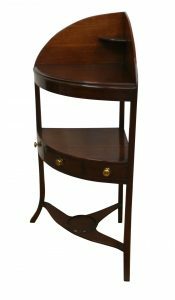 A Regency mahogany corner washstand. 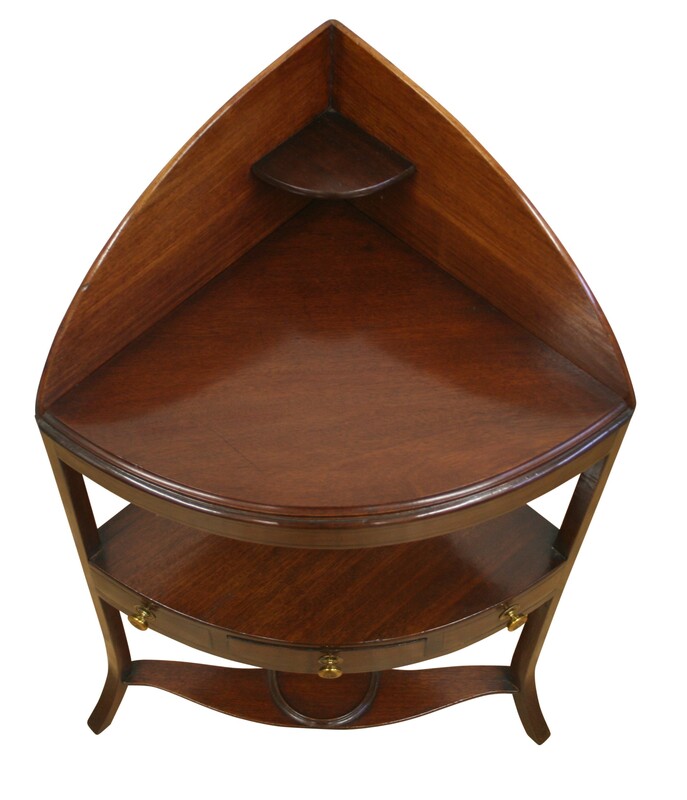 It is bow-fronted with a splash back and a new drop in top which covers the original basin well top. 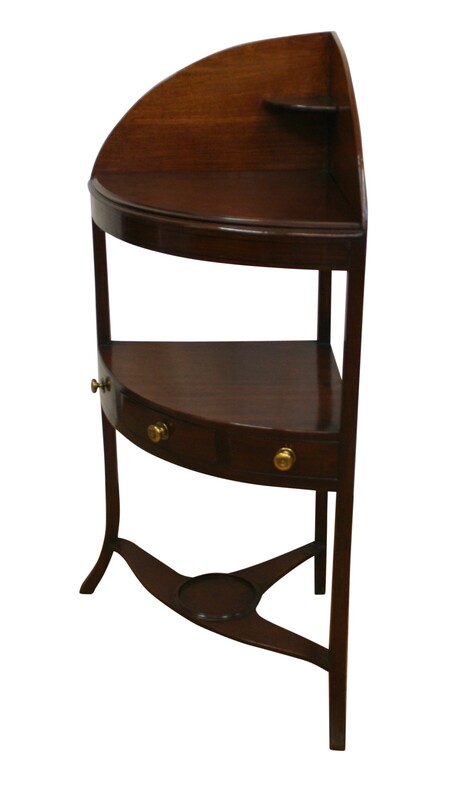 The under tier is fitted with a frieze drawer and two dummy drawers.